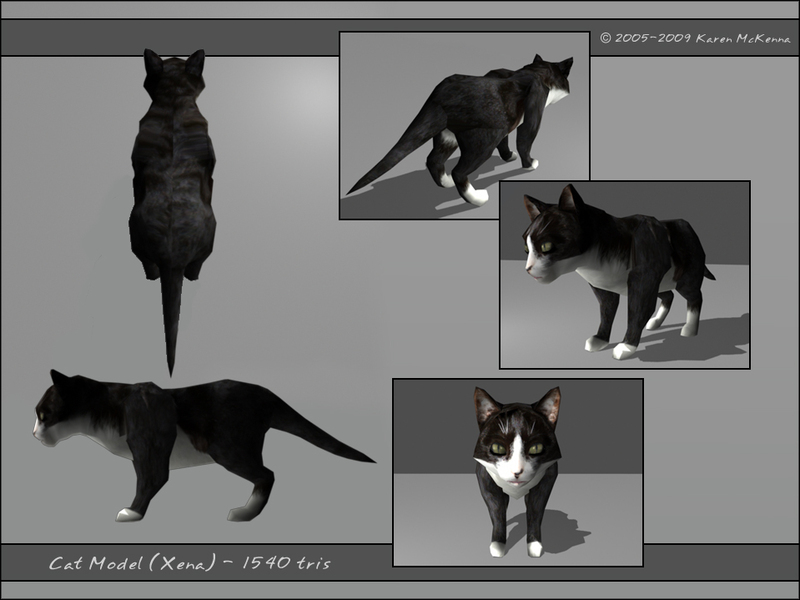 Model based off of my cat, Xena. This is currently a work in progress. 1540 tris, created in Maya 7. Hawksbill sea turtle, Maya 3. NURBS model. 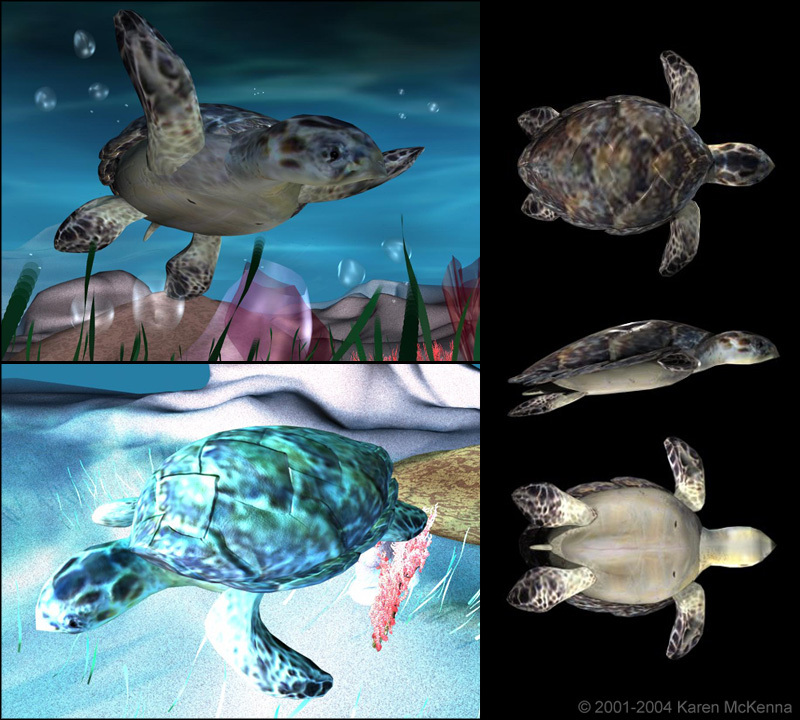 Created for Russ Pensyl's 360 degree animation, "Journey to the Oceans of the World," featured at SIGGRAPH 2002. Kei and Alemeth models from "Encounters." 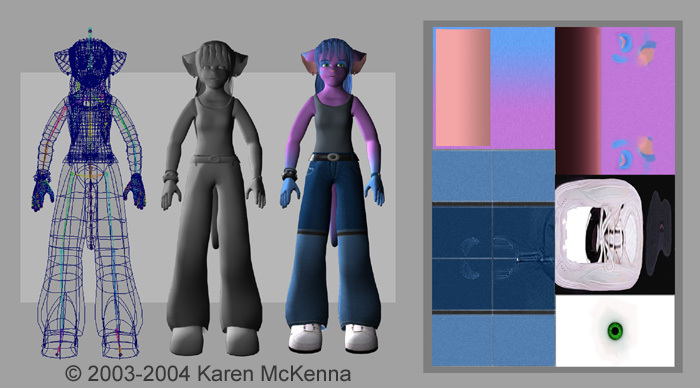 NURBS models, Maya 4. 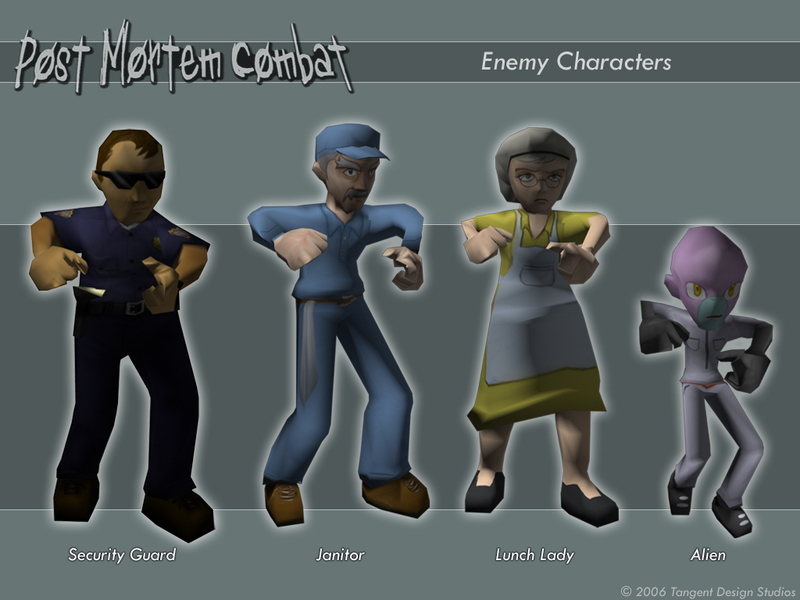 Low-polygon models from my student game "Post Mortem Combat." 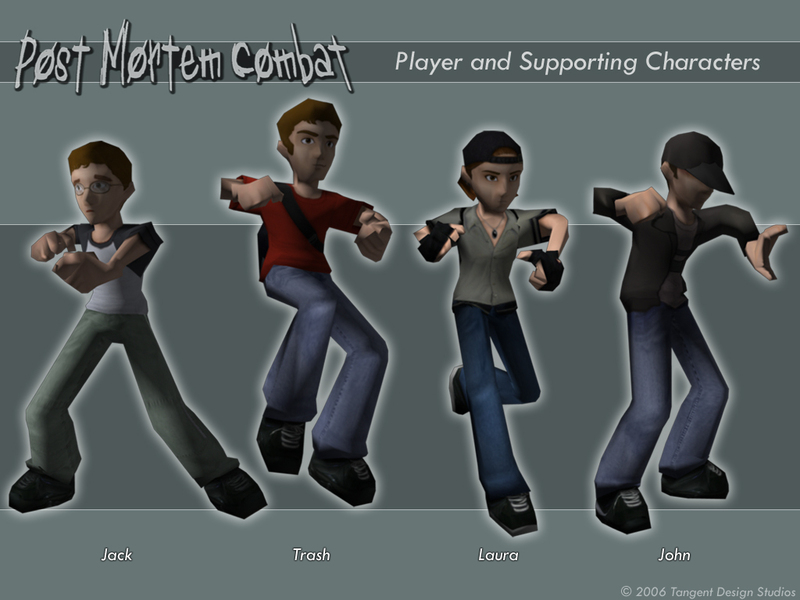 This was my first attempt at doing 3D game models. Maya 7. Models are just over 1000 tris each.